Photo by Jim McCue, Maryland Jockey Club. 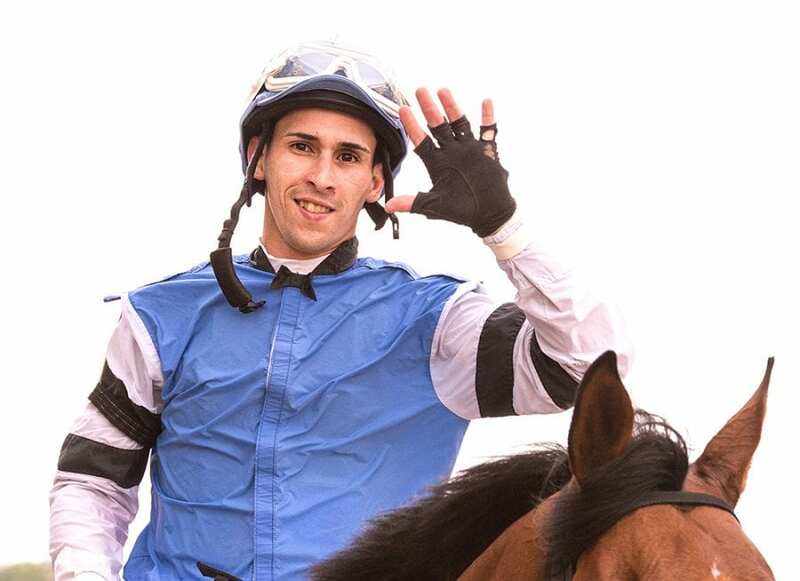 Six months after being seriously injured in a race-day spill at Laurel Park, 30-year-old journeyman Alex Cintron made his return to the Maryland jockey colony with three mounts on Thursday’s card. Cintron had not ridden in Maryland since suffering injuries to his face and knee as well as a broken shoulder blade when Hamilton Smith-trained Leather Goods appeared to clip heels on the first turn of the third race last Nov. 19 and dumped Cintron. Because both horse and rider remained on the ground, the jockeys of the other horses were directed to ease their mounts in the stretch and the race was declared a no contest. A lengthy recovery process was further complicated by the shifting of facial hardware already in place from a Nov. 14, 2014 spill where Cintron broke 12 bones, shattered his jaw and suffered a severe concussion. “That was great,” Cintron said after finishing second aboard Consider This for trainer Michael Matz in the second race, a $40,000 maiden special weight for fillies and mares 3 and up going 1 1/16 miles on the main track. Cintron returned to riding May 19 at Monmouth Park, finishing fifth aboard John Servis-trained Miss Inclusive in the Politely Stakes. The Bayamon, Puerto Rico native began getting on horses last month at Delaware Park, near his Wilmington, Del. home. Prior being injured, Cintron was on track to top career highs in both wins and purse earnings, finishing 2017 with 132 wins and a $4.137 million bankroll and ranking among Maryland’s leading riders. He won 141 races in 2013 and $4.29 million in 2014. Cintron is named in two of nine races Friday and four of 10 races both Saturday and Sunday. The 12-day Preakness Meet at Pimlico wraps up with a special Memorial Day holiday program Monday, May 28.